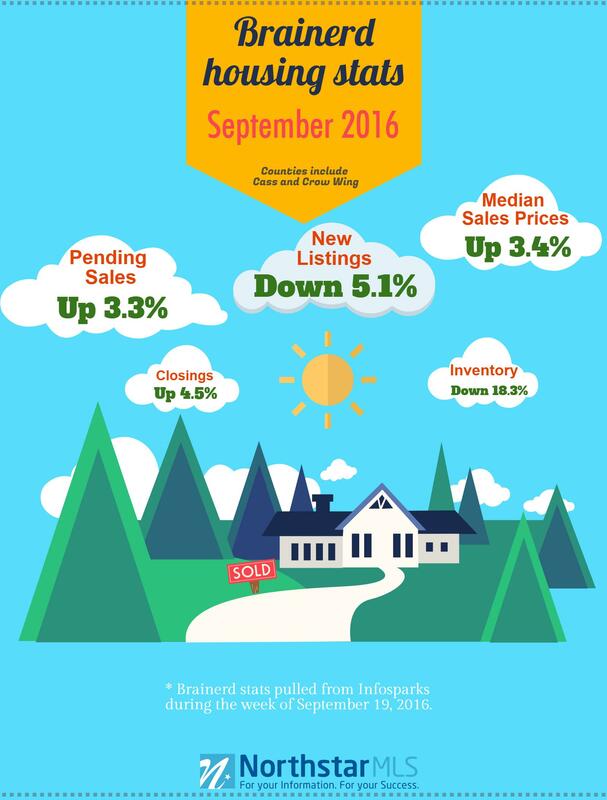 The summer is officially over and the peak selling season is waning. Median sale prices, pending sales and closings are all up in each NorthstarMLS area, while new listings and inventory are down. How do the numbers look in your area? Click here for Brainerd stats. Click here for St. Cloud stats. 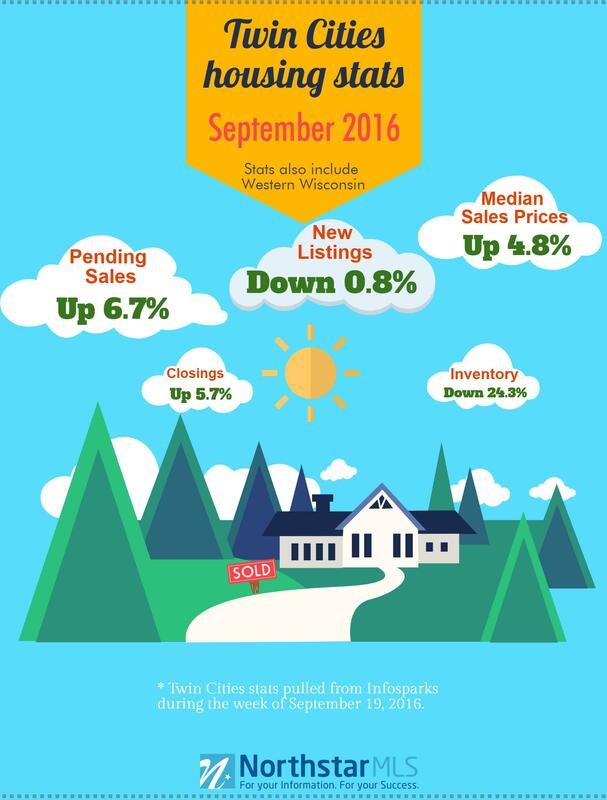 Click here for Twin Cities (including Western Wis.) stats.